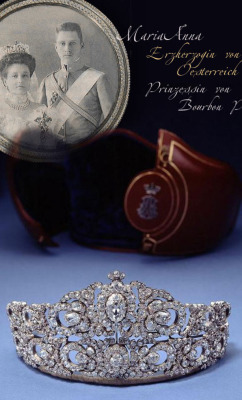 Culture Minister Matt Hancock has placed a temporary export bar on Queen Victoria’s sapphire and diamond coronet to keep it in the country. Queen Victoria’s sapphire and diamond coronet designed by Prince Albert is at risk of being exported from the UK unless a buyer can be found to match the asking price of £5 million (plus £1m VAT). The coronet is considered one of the most important jewels of Queen Victoria’s reign. It was designed by Prince Albert for her in their wedding year 1840. 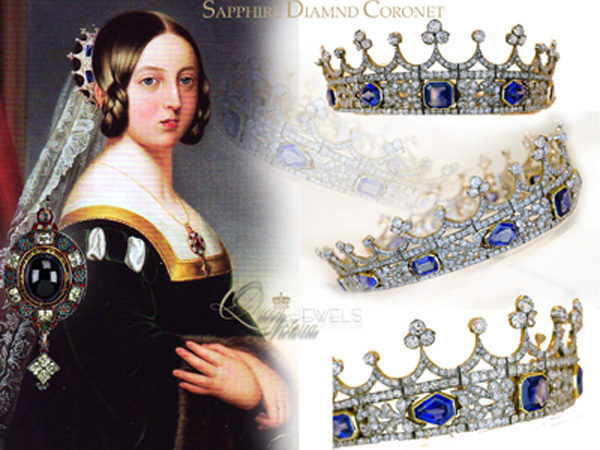 As a young queen, she loved coloured gemstones, an interest which notably faded following Prince Albert’s death in 1861. 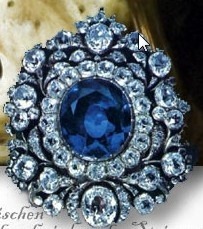 The coronet matched the sapphire and diamond brooch that Albert gave to her the day before their wedding. 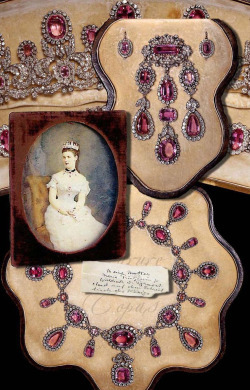 She even noted in her journal “My dear Albert has such good taste and arranges everything for me about my jewellery.” Most of the stones came from jewellery given to Victoria by King William IV and Queen Adelaide. The goldsmith behind the coronet was Joseph Kitching, who made it for £415. Following Albert’s death in 1861, Queen Victoria refused to attend the State Opening of Parliament until 1866 when she wore the coronet, likely as a reminder of her husband, instead of her coronation crown, which she noted had hurt her a great deal during her coronation. 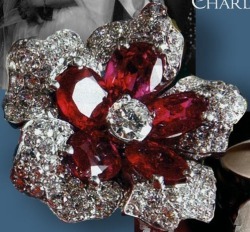 Queen Victoria’s coronet is stunning. It is one of the most iconic jewels from a pivotal period in our history and symbolises one of our nation’s most famous love stories. I hope that we are able to keep the coronet in the UK and on display for the public to enjoy for years to come. The coronet was given by King George V and Queen Mary to Princess Mary, Countess of Harewood on her marriage to Viscount Lascelles in 1922. The RCEWA made its recommendation on the grounds of the coronet’s close connection with our history and national life and its outstanding significance for the study of the young Queen Victoria. Key to the self-image of the young Victoria, this exquisite coronet was designed by her husband Prince Albert. Worn in her popular state portrait by Winterhalter of 1842, the year it was made, its combination of personal meaning and formality explains why she chose to wear it in 1866, emerging from mourning for the State Opening of Parliament. It evokes vividly the shared romantic taste of the time, and its form has become familiar through many reproductions. Its departure would be a great loss, given its beauty, its associations and its history. The decision on the export licence application for the coronet will be deferred until 27 December 2016. This may be extended until 27 June 2017 if a serious intention to raise funds to purchase it is made at the recommended price of £5 million (plus £1m VAT). Organisations or individuals interested in purchasing the coronet should contact the RCEWA on 0845 300 6200. 27.July 2017 – After one year of battle – the coronet are sold to William Bollinger an Irish-American hedge fund tycoon, who donated the historc piece to the Victoria and Albert Museum.